You're not just any parent. YOU are a super parent who throws the best birthday parties on the block. And how do you do it? With StickerYou, of course. We understand how expensive kids' parties can get (we're parents too!). You likely have a lot of other responsibilities and projects on the go, and planning the best birthday party of the year can be stressful. 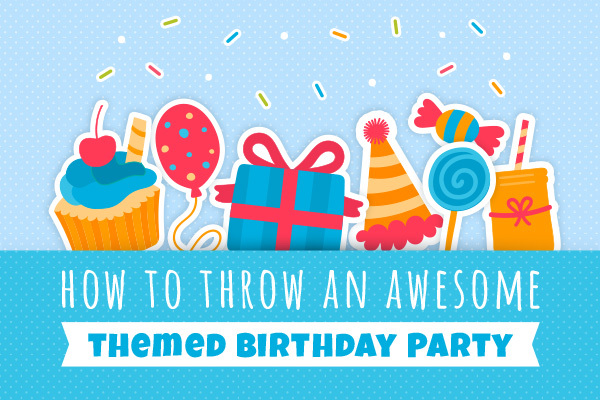 Here are some tips and tricks our team cooked up to help you throw an awesome themed birthday party, without breaking the bank. Tip #1: The dollar store is your best friend. 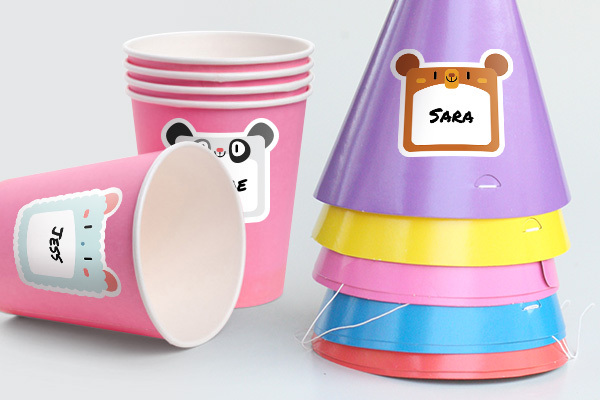 You don't need to trek all the way to party outlets to get themed party hats, cups and decorations. Get plain or colored cups on the cheap from the dollar store and decorate yourself with stickers. 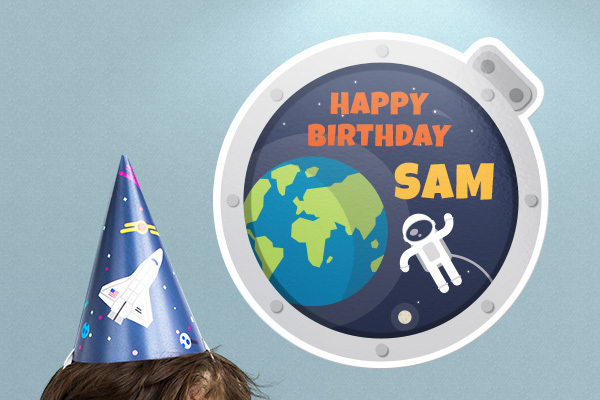 Create custom stickers at StickerYou with each guest's name or a blank space to write their name. Pro tip: enlist the help of your kids for sticking the stickers to the cups and hats before the party. What kid doesn't love playing with stickers? Tip # 2: Use a door marker. 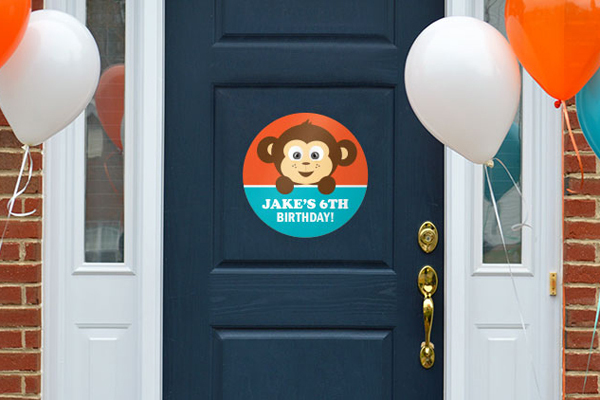 Help other parents find the right house on the street by adding a door sticker to your front door. These are removable, more environmentally friendly than balloons and can be used in any weather. They also help to set the theme for your party. Those other parents will be impressed. Tip # 3: Get Tatted. Temporary tattoos are a super fun addition to any party, and are appropriate for just about any theme. Get super creative by uploading your own collection of artwork to our temporary tattoo PageMaker. 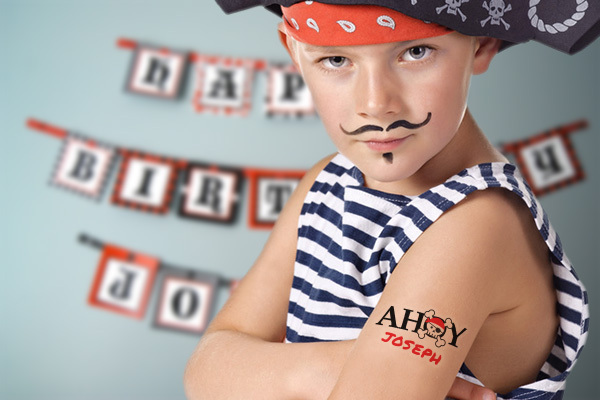 Add each child's name to a design so each guest can have their own special tattoo for the party. Temporary tattoos are non-toxic and can be removed with soap or rubbing alcohol. Pro tip: We have found this actually helps you remember the name of each child at the party (just in case!). Tip # 4: Custom Wall Decals. Looking for super specific party decor, and don't have time to get crafty? Custom wall decals will stick to most smooth wall surfaces and will remove clean, without damaging the paint. Stick up a few before the party, and just peel them off afterwards. Pro tip: Wall decals can be used in party games (ex: use as a target on a garage door), or for pointing directions to the bathroom or other locations. Tip # 5: The Loot Bags. Every child looks forward to the loot bag at the end of a party. if you're giving away candy, keep separate dietary needs straight by adding custom name labels to each bag. Or create Thank You stickers on StickerYou.com to add to each bag. There you go super parent! 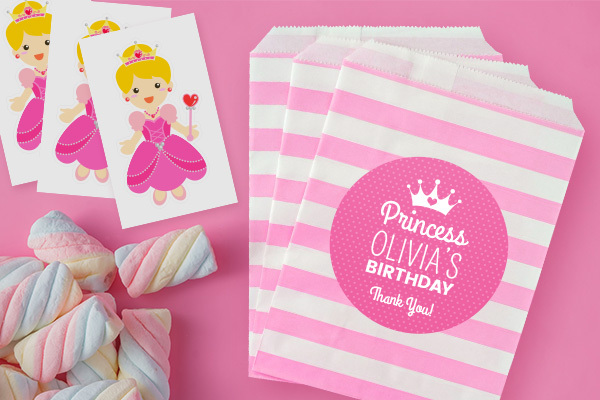 A few minutes on our party and events page, and a quick trip to the dollar store and you're set to decorate and host an awesome themed birthday party. Now all you gotta do is pick up the food and plan the games. Good luck with that!